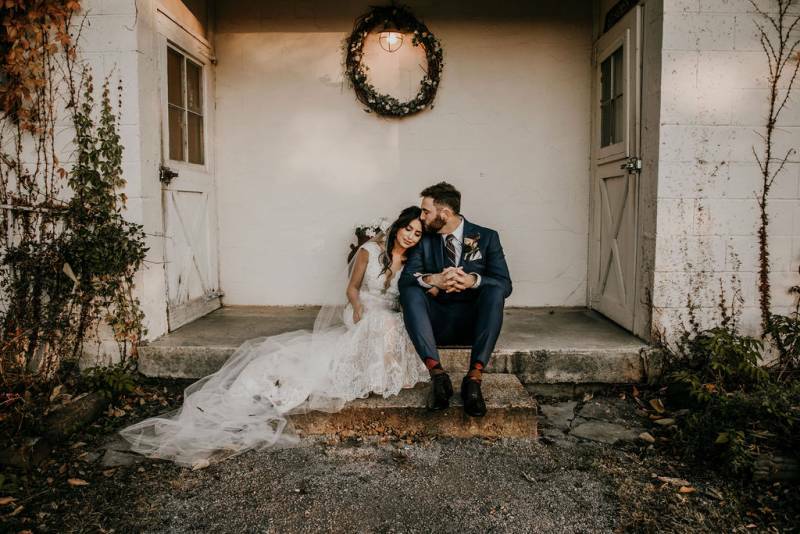 When you mix a beautiful couple with a gorgeous barn and lots of boho details, you're likely to land on Kyle + Jessica's wedding! 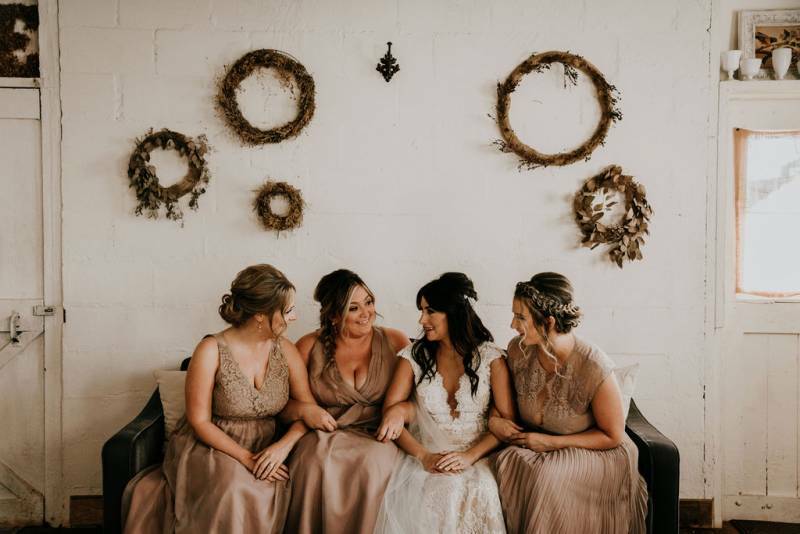 Their boho meets elegant farm wedding at Meadow Hill Farm was a day to remember. 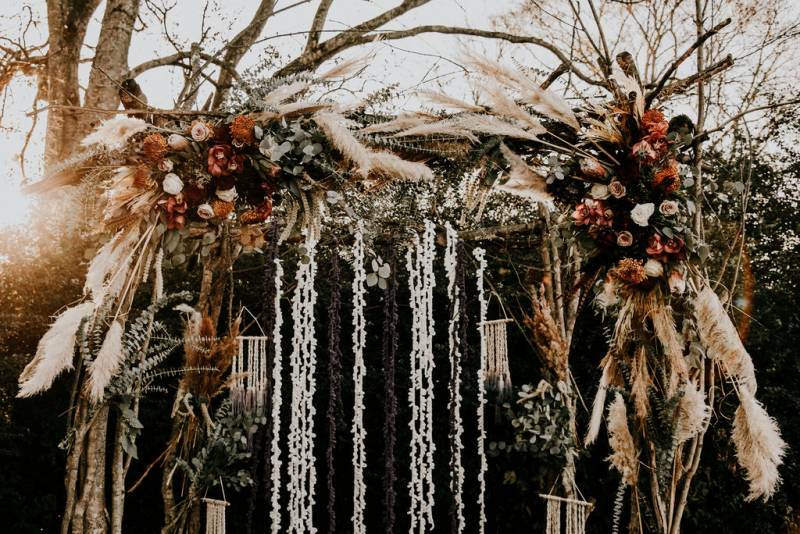 Despite the cold, the photos from Lauren White Photography tell the story that includes so many beautiful details. 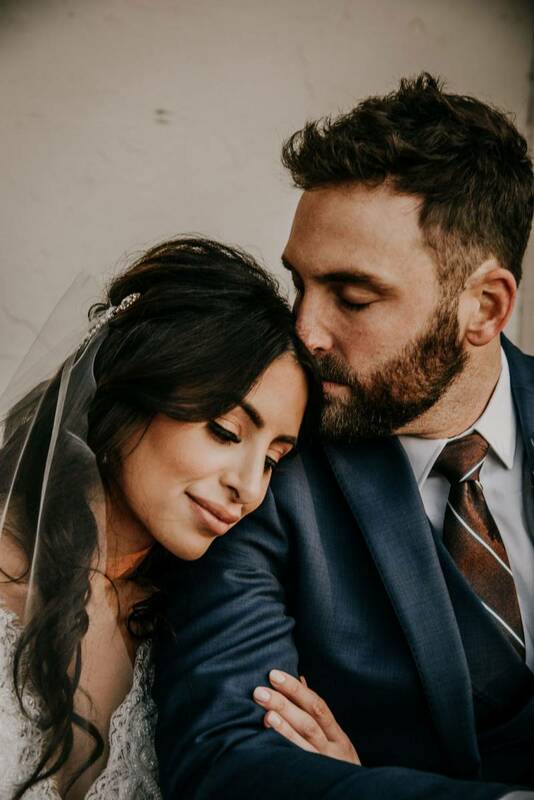 From Jessica's jaw-dropping Calla Blanche dress to their naked cake and donuts, the elegant meets boho vibe was so evident! See it all below! 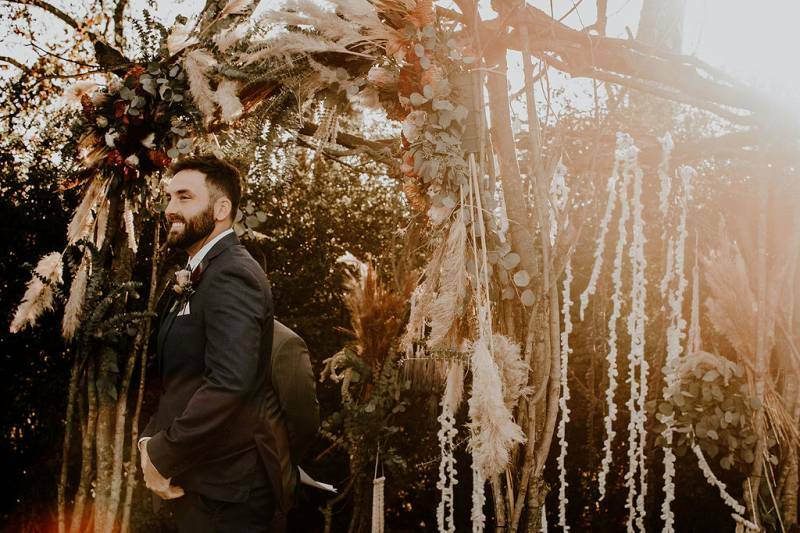 From the photographer, Lauren White: Kyle & Jessica had the most gorgeous day! 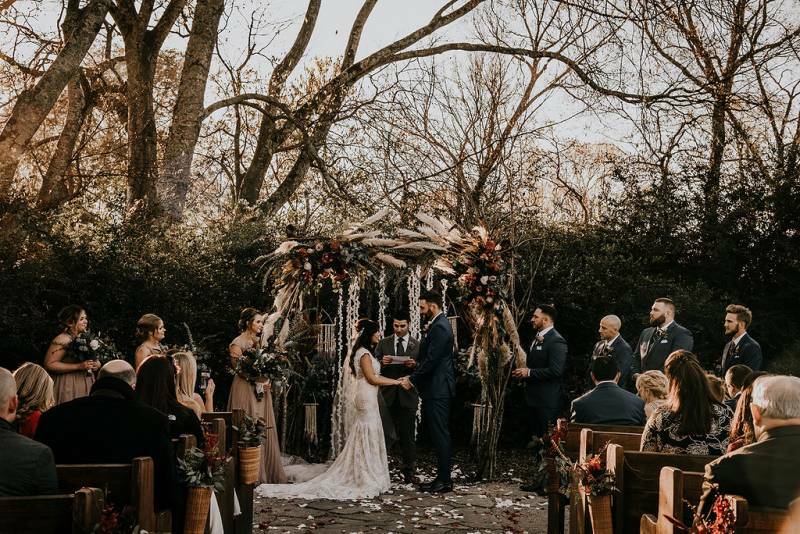 While it was FREEZING cold, the love between them, and the love showered on them by friends and family was enough to warm you up. 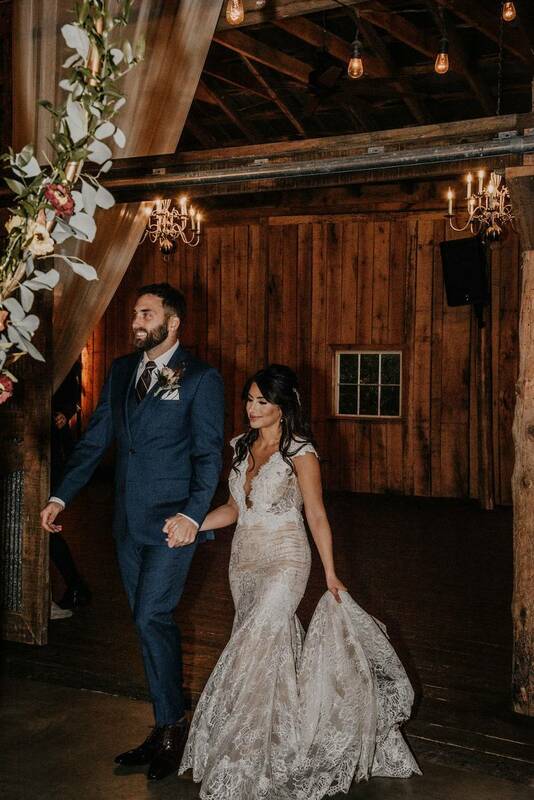 Every detail from their day was perfect. 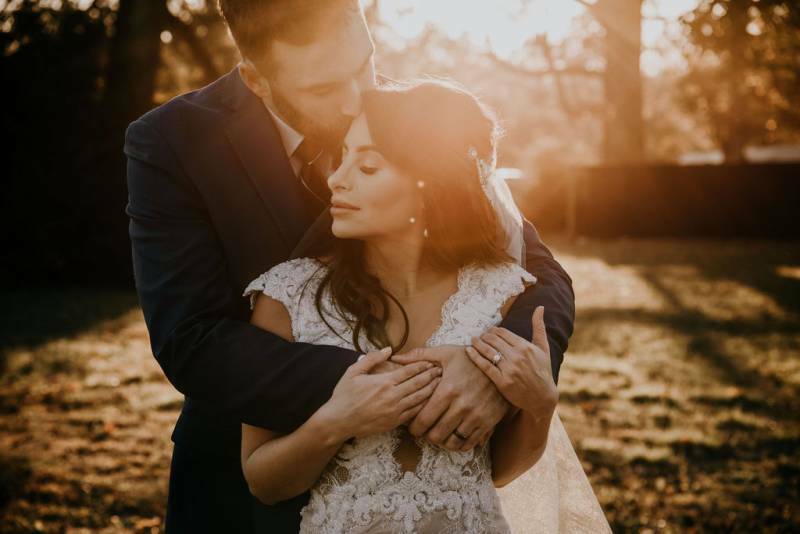 They got married at Meadow Hill Farm which is one of the prettiest venues, no matter where you look it has a gorgeous view. 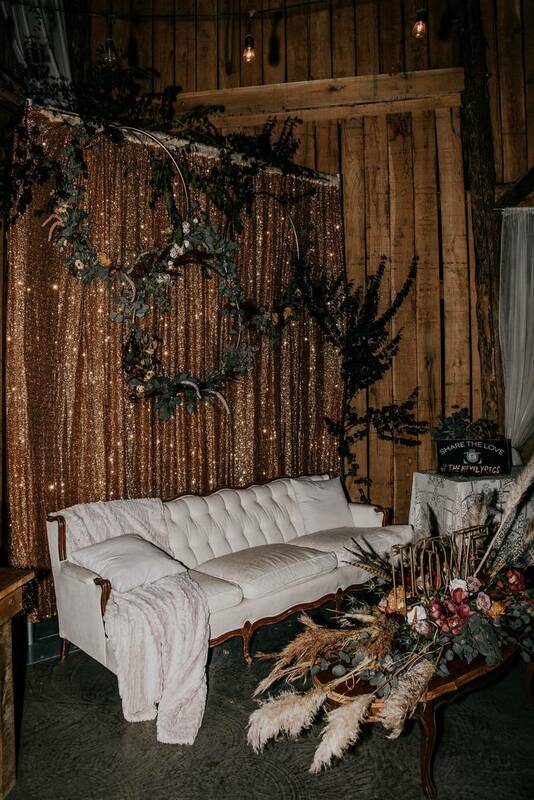 The getting ready space was stunning. 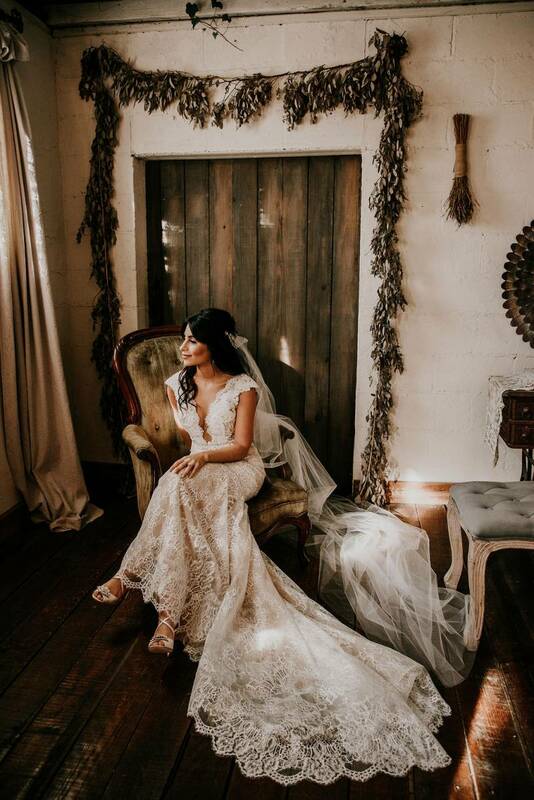 From the photographer, Lauren White: The ceremony was a mix between boho and glam. The florals were out of this world. 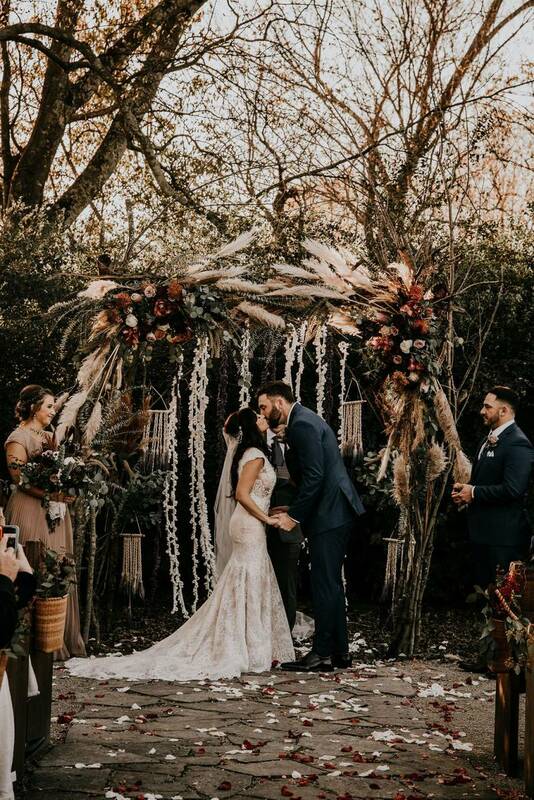 With a gorgeous arbor covered in flowers and macrame pieces hanging as a backdrop, and rose petals down the aisle, you couldn't have ask for a more beautiful and romantic setting to say "I do". 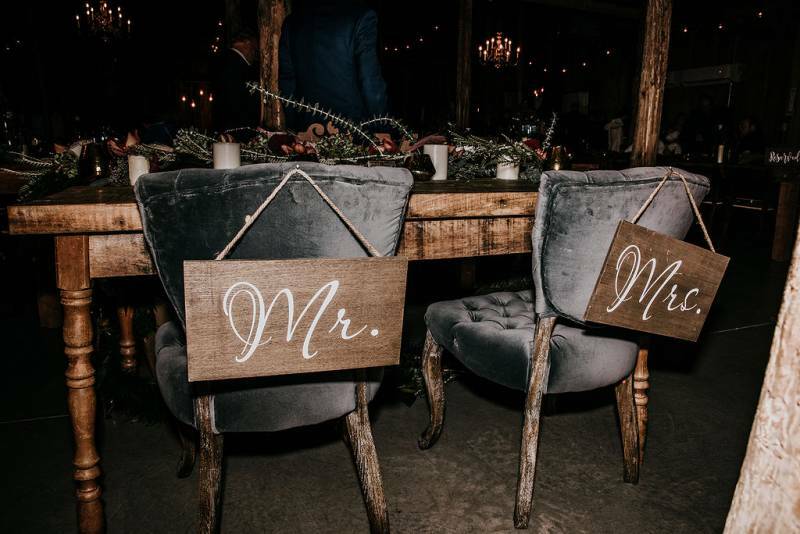 From the photographer, Lauren White: I loved that throughout the whole day every guest was all about them. The guests all got up and surrounded Kyle & Jessica when they had their first dance, and cut the cake. 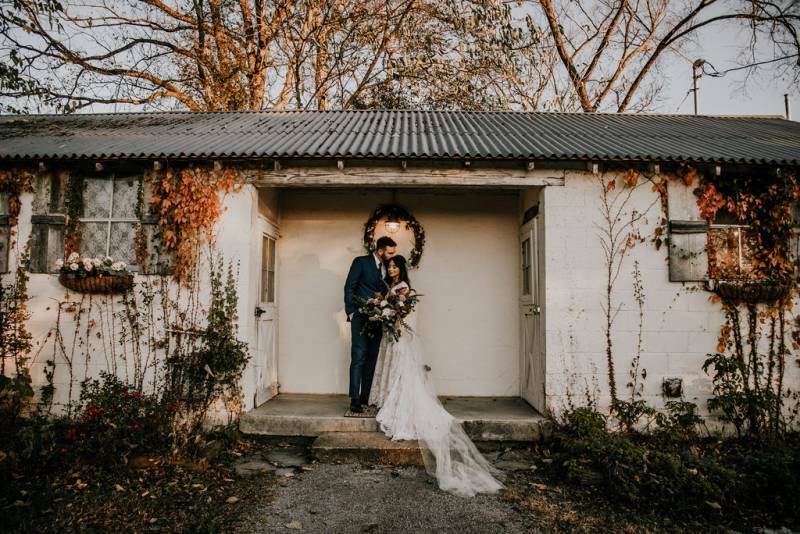 Thank you so much for sharing Kyle + Jessica's boho meets elegant farm wedding at Meadow Hill Farm, Lauren! 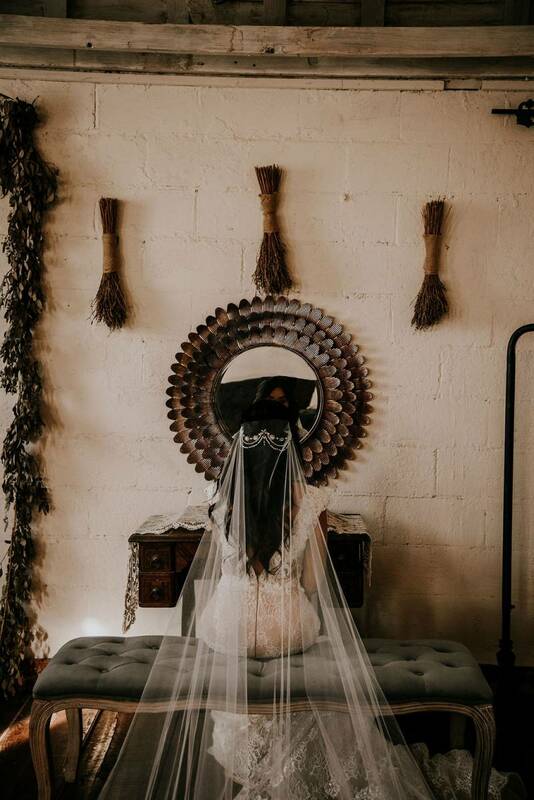 You can check out more on Lauren White Photography HERE. 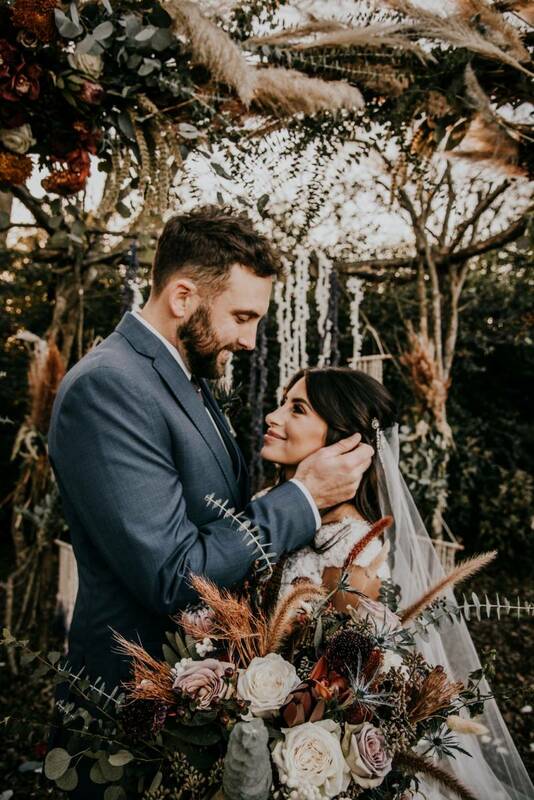 And also be sure to check out her latest weddings over on Instagram!